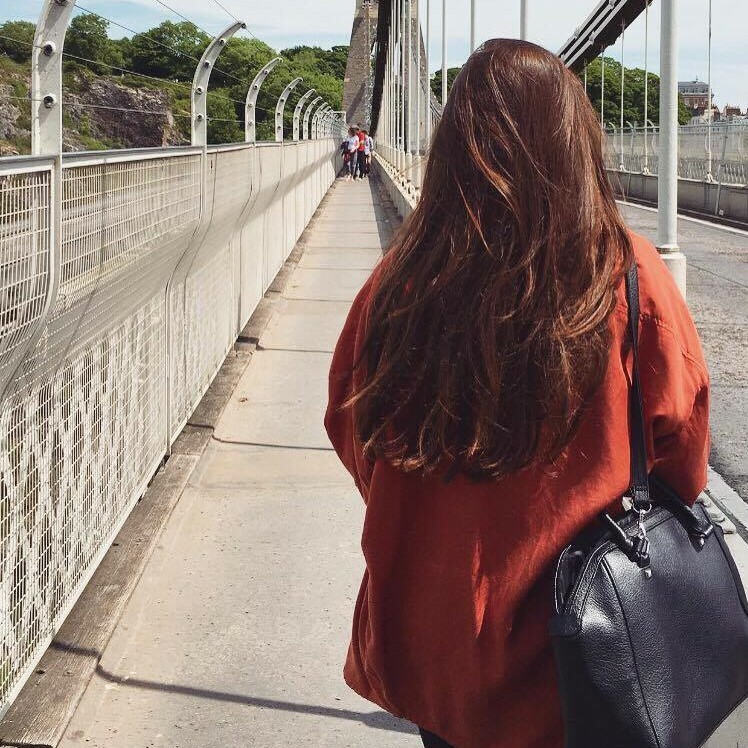 We all know that eyebrows frame the face, but what about those of us who haven’t been blessed with naturally amazing brows? I would love to have full, fluffy brows that need taming – that is the dream. Until I was about 15, I didn’t give brows a second thought…until I found myself filling them in with a thick, brown eyeliner pencil (it makes me shudder to think of doing that now!) to make them darker and longer. Enter the Glossier Boy Brow. So is it really worth the hype? I’ve been putting it to the test on my fine, sparse brows to see what all the fuss is about. 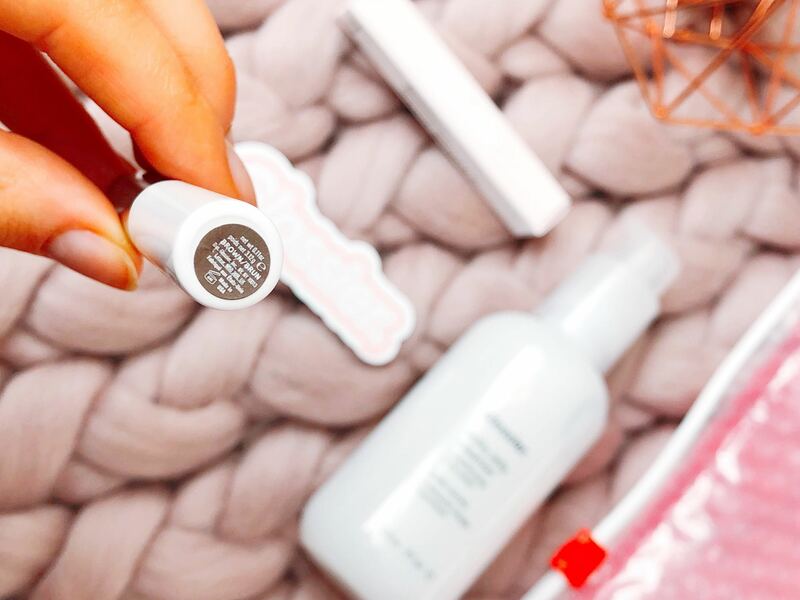 It is no secret that I am a huge fan of Glossier. There is something so satisfying about recieveing a beautiful parcel, packaged up in those pink bubble bags. 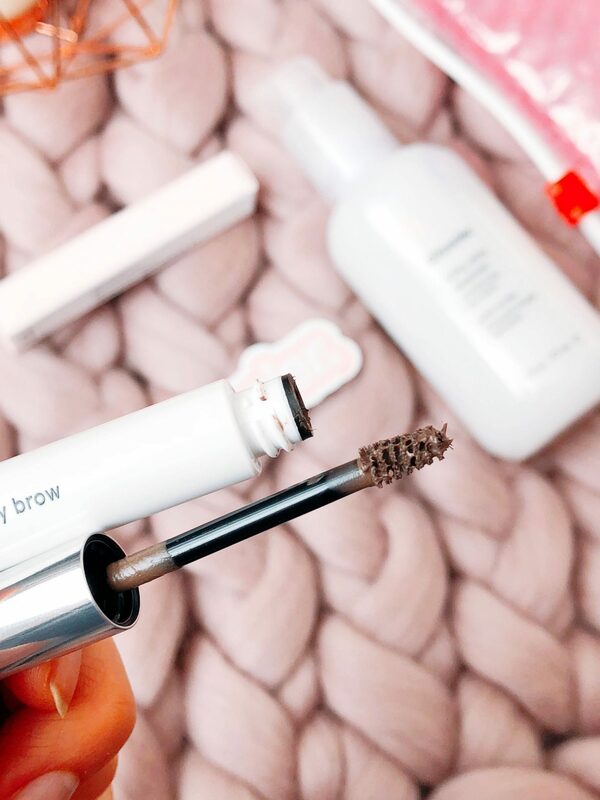 In fact, when I ordered the Boy Brow, I topped up on my favourite Milky Jelly Cleanser, which is a staple in my daily double-cleansing routine. Anyway, the Boy Brow. With a dedicated following behind it already, the brow mascara has risen to fame in the beauty world! It is marketed as an ‘eyebrow filler and shaper’, designed to fill in brows, grooming them into place. The ‘creamy wax fomula’ is inspired by hair pomade for soft hold that won’t flake. I had held off on buying it until now because of the price, but I had some store credit to use so I finally took the plunge and ordered myself a tube! (p.s., using my affiliate code gets you 10% off your order). It costs £14 for 3.2g, which makes it more on the expensive side if you look at it in terms of the amount of product you actually get. More on whether I think it is worth the price later on! The bottle is tiny…but so is the brush, so it is all relatively sized. I personally love the sleek packaging too. Glossier seem to get it spot on with packaging every time. It comes in 4 colours – black, brown, blond and clear. There are swatched of each of the shades on the website to help you choose. I have the brown shade to match my naturally dark brown brows. So am I brow mascara-wearer anyway? Yes! I was previously using the Maybelline Brow Drama, but I’ve never been loyal to a paticular brow tint mascara before. So on intial application, I applied too much. The brush was small, so I merrily loaded up the brush and started to apply as much as I could, to instantly put it to the test. Now, I quickly found out that this is one of those products you could just keep on applying. It doesn’t crisp up or go crunchy in brow hairs, so you can just go crazy if you want to! So already a big tick – complete control over the amount you use. In terms of colour, the brown shade was spot on for me. It is cool-toned which makes me so happy – so often I buy new brow products that come up a warm, ginger shade on my own cool-toned brows. Now, when it comes to the claim that it ‘fills in your brows’, I’d say it more colours the hairs that you already have. If like me, your brows dissapear early and need actual pigment on your skin, this product won’t do that. If there aren’t hairs, it isn’t going to do anything. For gals and guys who are happy with the shape of their brows already, this is all you will need for some extra definition and colour and you are good to go! I’ll still be using my trusty Dipbrow to achieve the shape, but for defining hairs, keeping brows in place and adding more colour, the Boy Brow is my new favourite. On an average day, I wipe off most of the product as I pull it out of the bottle, and comb through my brows a few times. I love the effect it gives. A completely natural look, adding the appearance of actual brow hairs back. The Body Brow lasts all day and comes off easily at the end of the day. Would I repurchase it? Without a doubt! I’ve suprised myself by loving the Glossier Boy Brow so much. My only gripe would be the fact that my own brows don’t let it do justice – they still need extra help. My boyfriend looked at my brows the other day and commented ‘Oh you’re eyebrows look good. Nice and hairy’. 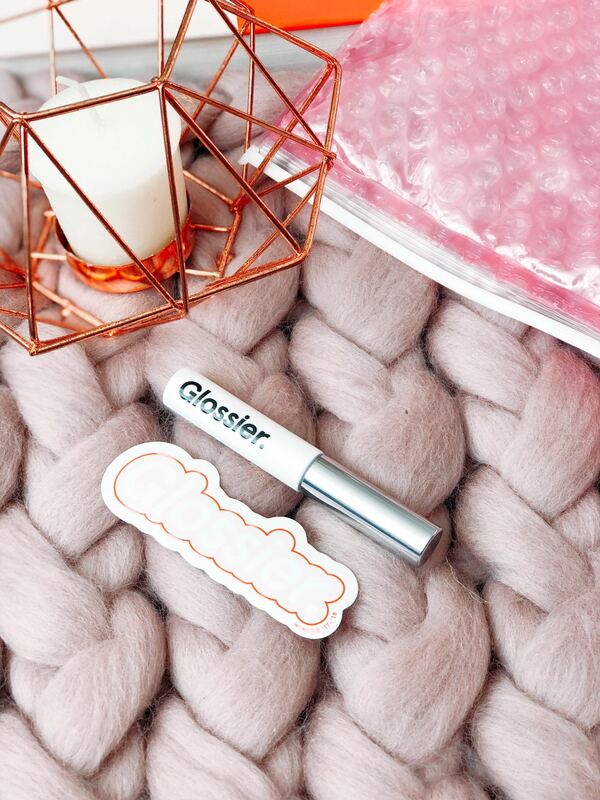 Which I think settles it…Glossier – you are on to a winner here. Have you tried the Boy Brow? Ooo this sounds brilliant, definitely worth the money by the sounds of it!